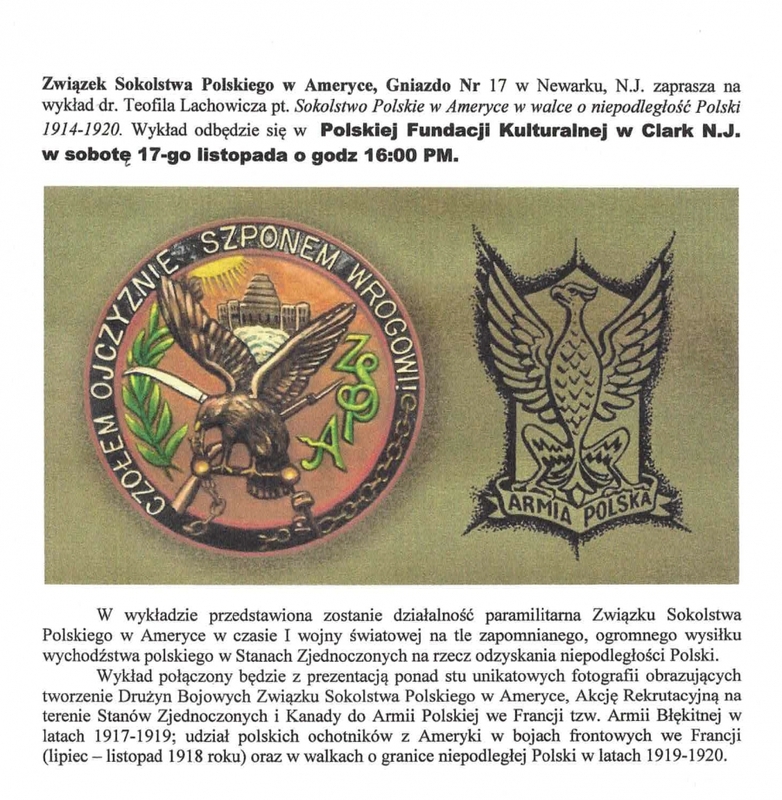 The Polish Falcons of America, Slot # 17 in Newark, NJ invites everyone to a lecture by dr. Teofil Lachowicz titled Polish Falcons of America in the fight for Polish independence 1914-1920. The lecture will be combined with the presentation of over one hundred unique photographs depicting the creation of Falcons Combat Teams in the United States and Canada for the Polish Army in France. It is a fascinating story about the contribution of Polonia to the independence of Poland, everyone should get to know it.